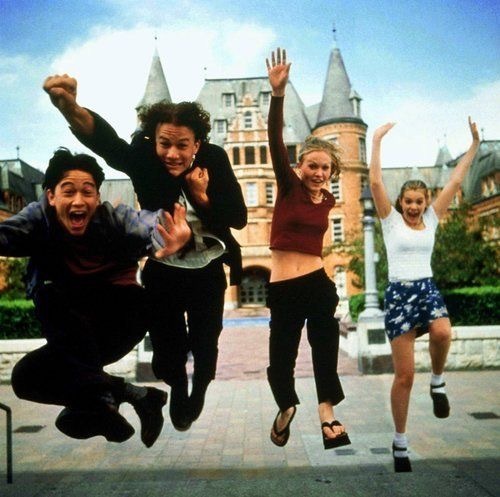 Our little sight-seeing run today was all about the 10 Things I hate about you and it’s been a blast. We started shortly after 9am, the better half and I, and made it to the house first, about 1km into the run. After that little running break we went on for a while, through the park which was nice and shaded since the sun has been blasting pretty good already and then on to Stadium High School. And that was what we did. Phone tucked in to the side of my shorts I started climbing up and over the fence, into the stadium bowl. So once we qwew in, my legs got an even better workout with some nice but pretty steep stairs, a little run around the track and back up the other side of the stairs again. It’s been quite day and with all my fear of heights I didn’t exactly run down those stairs but, it’s been good and I faced my fear, the same with climbing over fences and all….